This very special tasting includes two of my favorite wines from one of my favorite wineries. 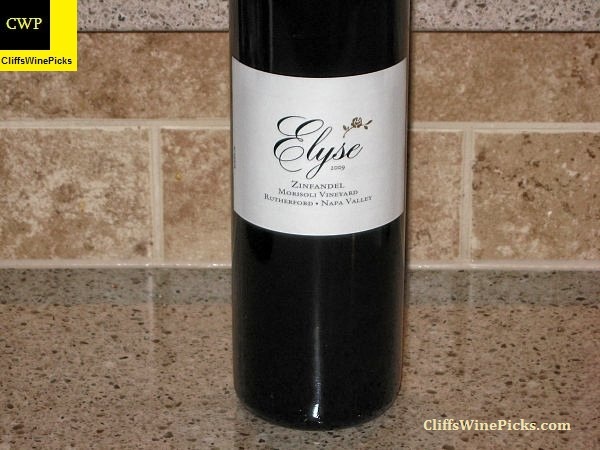 I’ve been a big fan of Elyse Winery since my first visit to wine country well over a decade ago. 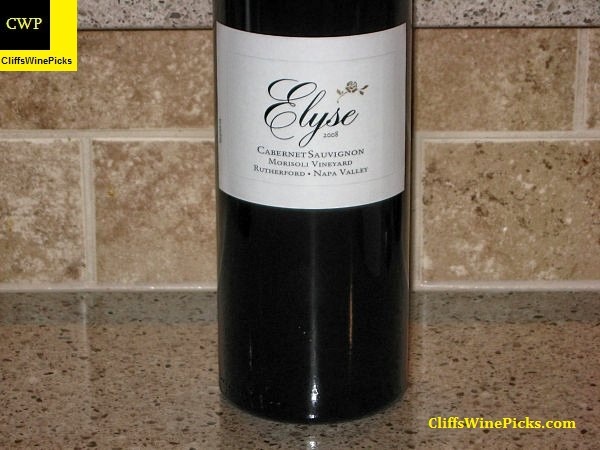 Over the years I have opened and enjoyed several cases of Elyse wines made from Cabernet Sauvignon, Syrah, Grenache, Zinfandel and more, as well as numerous blends. These are always well made and reasonably priced wines made by very nice and friendly people. 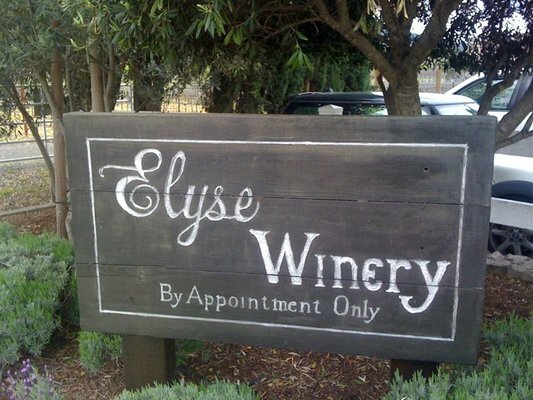 If you ever make it to the Napa Valley, I highly recommend a stop at Elyse. 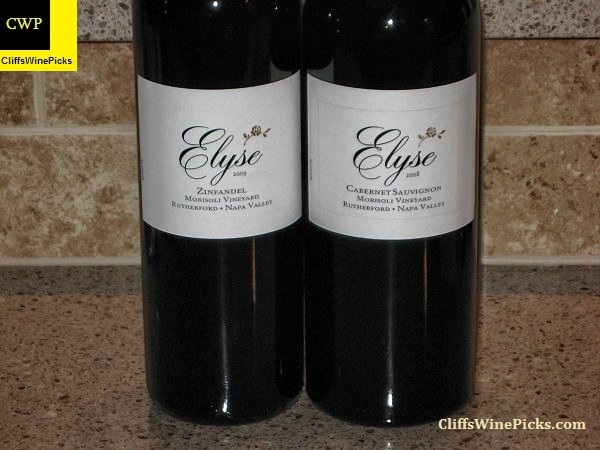 For more information on Elyse or to order wine, please visit their website by clicking here. 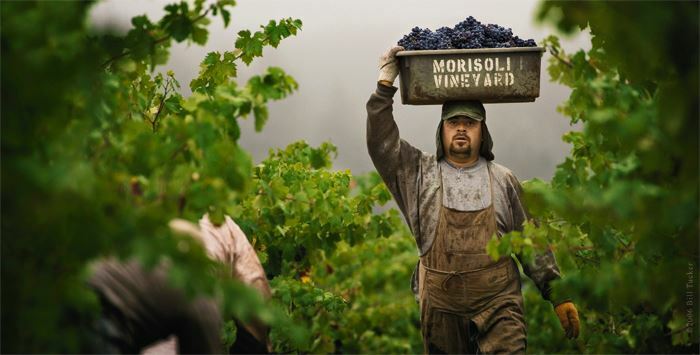 Morisoli Vineyard is owned by Gary and Melody Morisoli. This vineyard, in the Rutherford area of Napa Valley, has been in the Morisoli family for over 100 years. Gary Morisoli doesn’t know when the family purchased the property, but he knows his grandfather was born in one of the property’s three houses in 1902. The original property consisted of 10 acres. Gary’s grandfather eventually doubled the size of the property and Gary added an additional 37 acres. Today the vineyard only grows Zinfandel and Cabernet Sauvignon. The vineyard has been growing Zinfandel for over 100 years but Cabernet Sauvignon wasn’t planted until the early 1980s. The youngest vines on the property are from the mid 1990s. Until the early 1960s, the vineyard was also home to Gamay, Carignan, Sauvignon Vert and Petite Syrah. The property survived prohibition by selling the grapes for “sacramental” winemaking purposes both in California and on the East Coast. The family also kept a few wine barrels of their own in the basement. Fun Fact: When asked what his favorite wine is, Gary responded “Pepsi.” He’s a farmer, not a wine connoisseur. Except, of course, when he’s mixing the two. In the tradition of the Italians, he does like to mix 2 parts Pepsi with 1 part red wine. Elyse has been making Zinfandel from the Morisoli Vineyard since 1986 and have been the only producer working with these grapes since 1988. The old field-blend vines, Rutherford Bench terroir, and traditional farming practices always create a truly distinctive Zinfandel. This wine is 87% Zinfandel with the remaining 13% being a combination of Alicante Bouschet, Carignane, Durif, Grand Noir, Muscat Hamburg, Négrette, Syrah, and Valdiguié. After a 16 day fermentation using native yeast, the wine was aged 10 ½ months in American oak barrels, with 25% being new. The wine has 14.6% alcohol and the bottle is sealed with a natural cork. There were 2,397 cases of wine produced. This wine is a blend of 96% Cabernet Sauvignon and 4% Petit Verdot. The wine was fermented for 15 days using native yeast. The wine was then aged for 30 months in French oak barrels with 60% being new. The wine has 14.8% alcohol and the bottle is sealed with a natural cork. The total production was 777 cases and 20 cases of magnums.